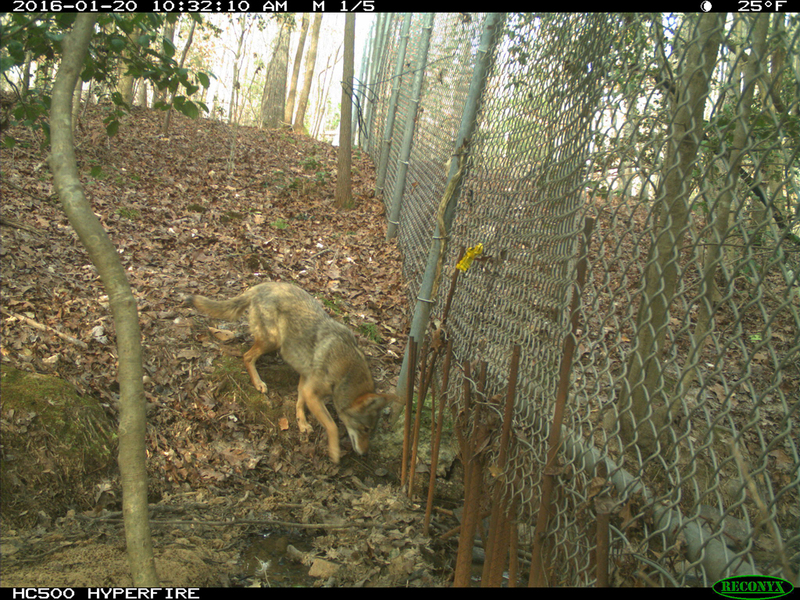 Researchers at the North Carolina Zoo downloaded and analyzed another set of camera trap photos in late February 2016. 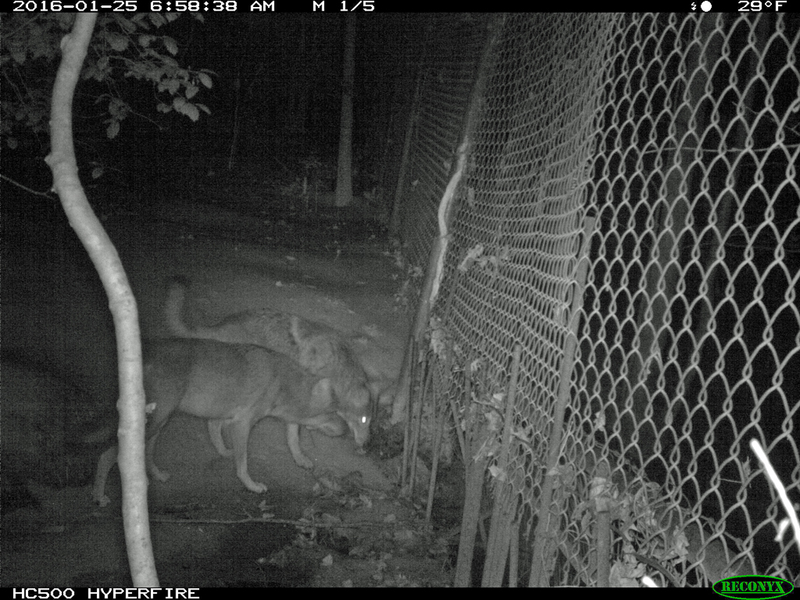 As always, there are the expected animals; they have seen lots of deer and squirrels. 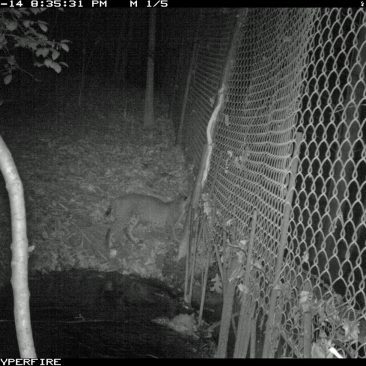 More surprising, though, are the photos of what is believed to be three different bobcats. 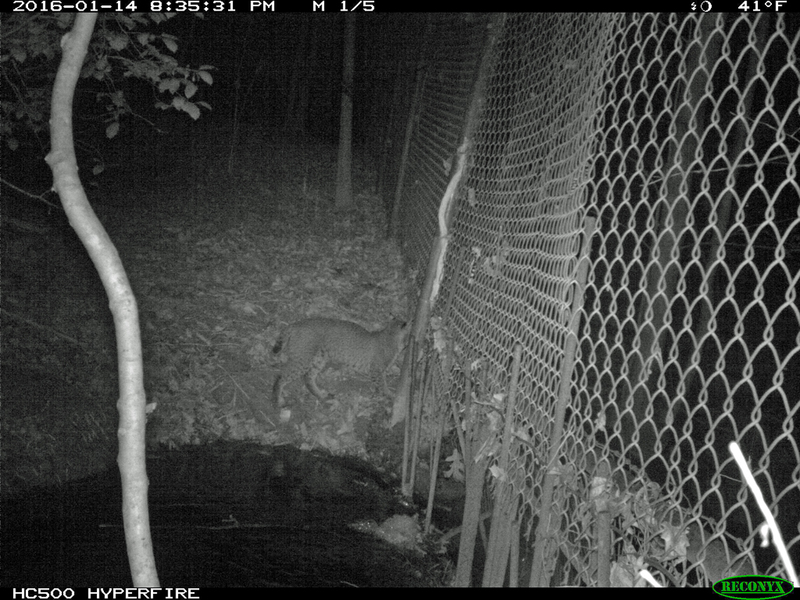 Two of these bobcats may be paired, which means that young bobcats could possibly show up on the camera traps sometime soon. 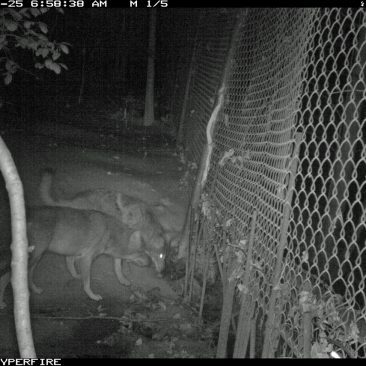 Evidence in the photos has led to even more questions regarding the location and behavior of wild animals using habitat around the Zoo’s exhibits. 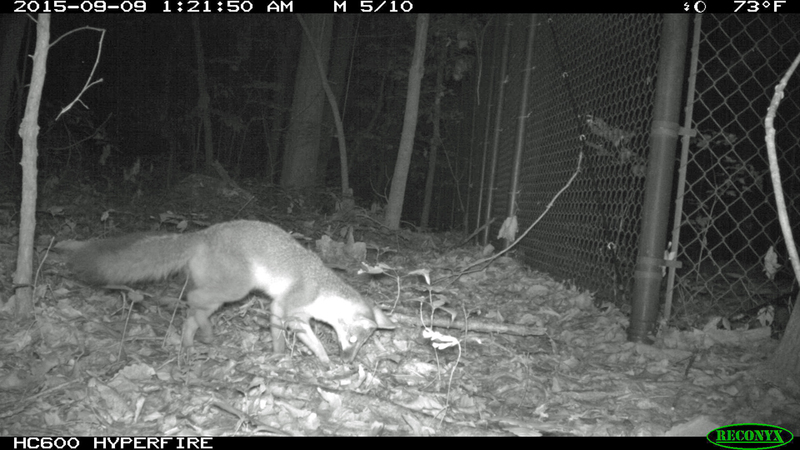 It is becoming clear that some native animals may in fact be interacting to some degree with the Zoo’s captive animals; a photo of a fox near the Red Wolf exhibit is very interesting on this point. 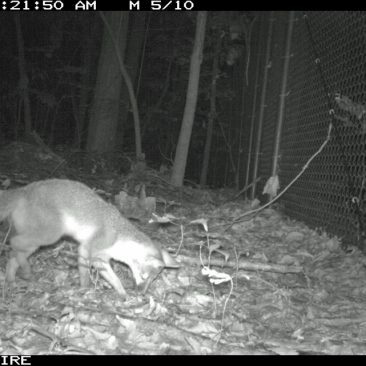 For the most part, though, the questions being pursued are still fairly general, and researchers are still surveying wide expanses of Zoo property in order to determine, for example, if native animals are using corridors of open space to move between Zoo property and other pieces of land. 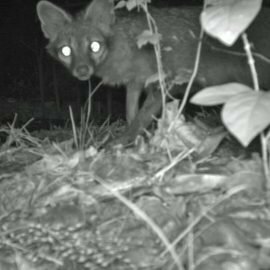 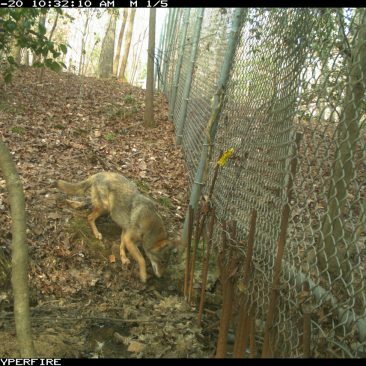 Researchers use camera traps to learn how native animals make use of undeveloped lands near the North Carolina Zoo. 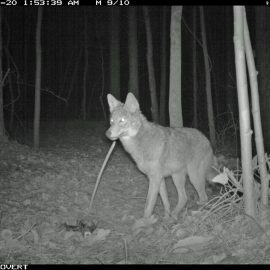 This study, from 2011, focused on predators and their hunting preferences.